Designing and making furniture with hand hammered copper is an ancient art form, and our skilled artisans are experts in working with this material. 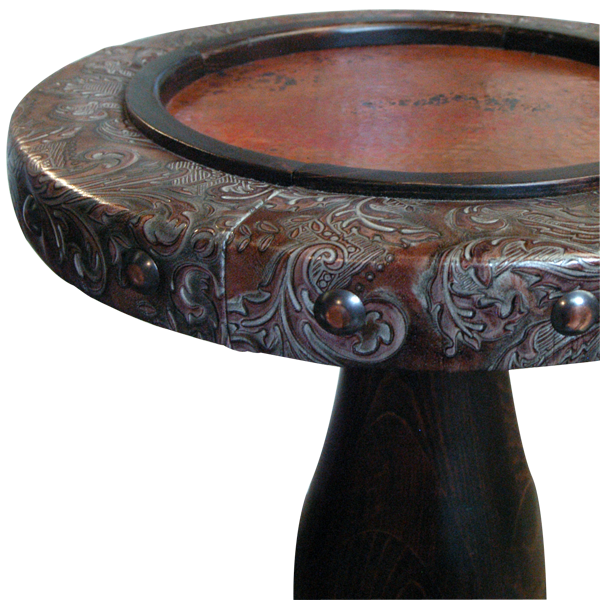 The round table top of this handcrafted end table is made with hand hammered and hand tooled copper, bordered by a hand forged iron belt. 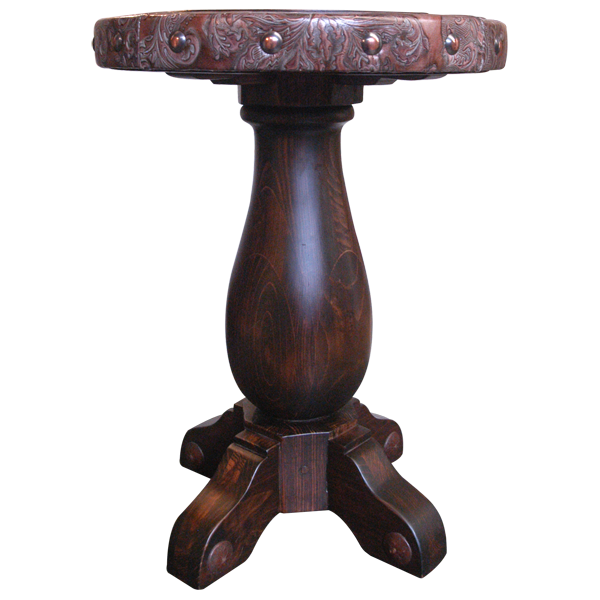 The table top is framed with fine, embossed, full grain leather, which is embellished with wide, hand forged iron nails, hand tacked around the entire rim of the top. 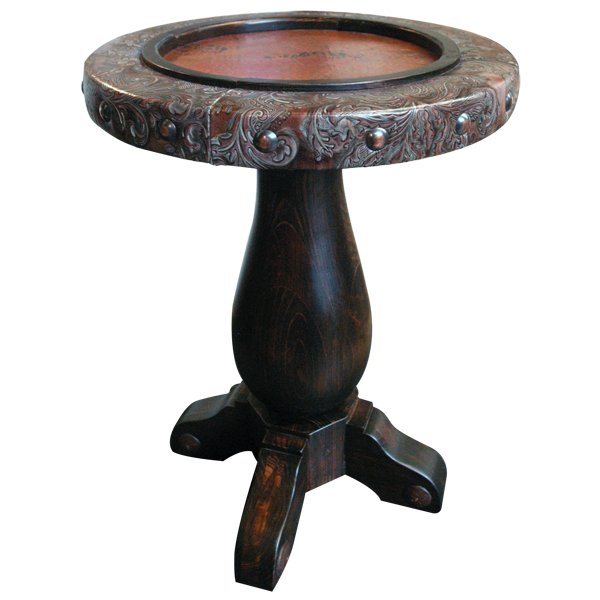 The top sits firmly on a hand turned pedestal, supported by four, sturdy feet. The feet are adorned with hand forged, iron nails. This durable end table is made with the best, sustainable, solid wood available, and it is 100% customizable.